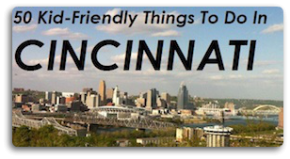 One of the reasons I love Cincinnati so much is that there is something to do for everyone. We have a diversity of cultures and one thing that unites us is that we all love to celebrate. 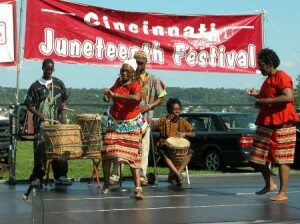 This weekend, join in on the fun at Eden Park for the Cincinnati Juneteenth Festival. This event “celebrates the end of American slavery” and is a wonderful family-friendly festival. There is something to do for everyone. If you can, try to make if for the “Parade of Flags”. This colorful display of flags will get you inspired as the participants march around beautiful Mirror Lake carrying flags from over 70 countries. There will be entertainment, children’s activities, vendors and more.